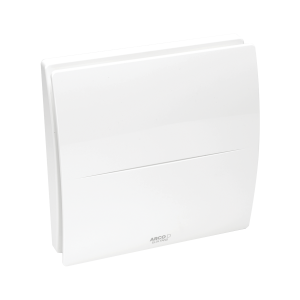 efficiency by generating up to 20% more static pressure with no additional power consumption. The Guide Vanes can also help achieve specified static pressures where space is limited. The dramatic increase in energy costs together with the drive to reduce greenhouse gas emissions has helped create a growing demand for energy efficient products and systems. This demand is being driven by architects, engineers and developers wanting to create buildings that provide optimal working conditions while minimising energy consumption. applications that require high static pressures. 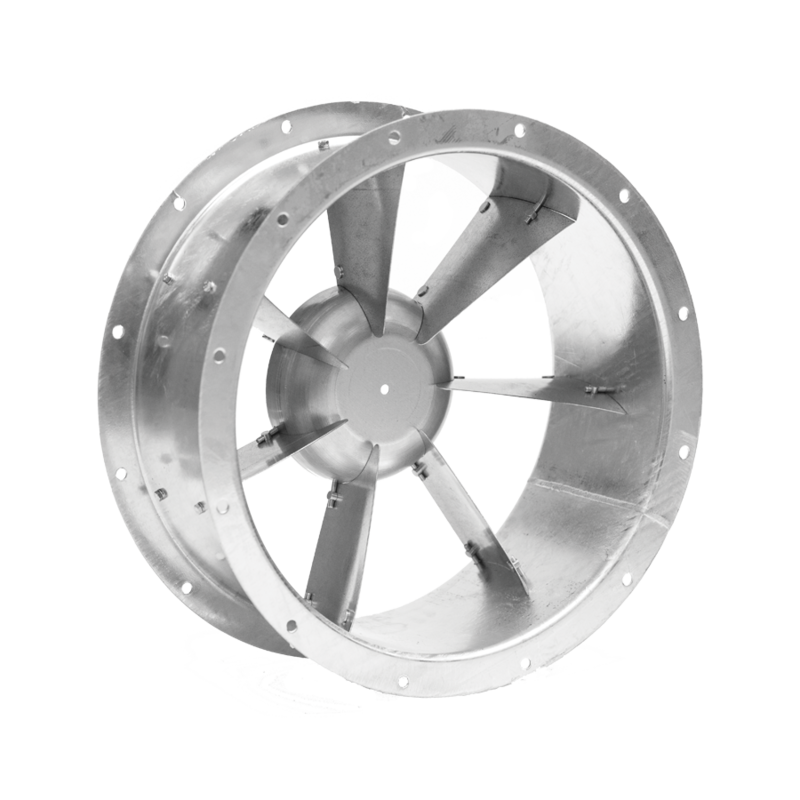 Guide Vanes are integrated into the casing of axial fans. 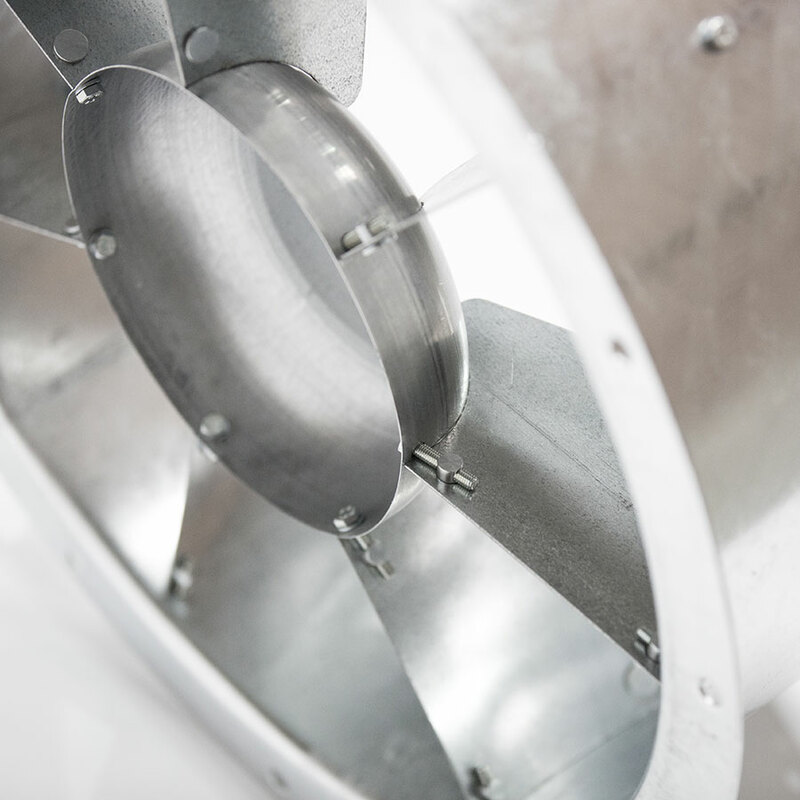 The casing is longer than that of a standard axial fan to allow for the impeller, motor and guide vanes. The distance between the impeller and Guide vanes has been optimised to efficiently transform the kinetic energy into pressure energy. 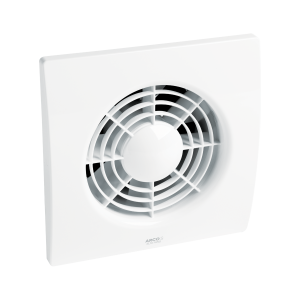 The bolt-in Guide Vanes are available in axial fan sizes from 315mm to 1000mm diameter with pitch angles above 20 degrees. Axial fans with Guide Vanes from 1250mm to 2000mm are also available as a welded construction. LC Axial fans with bolt-in Guide Vanes are arranged in Form A which increases the noise output by 2 to 3 dB compared to Form B. LC Axial fans with bolt-in Guide Vanes can only be fitted with right hand impeller blades.